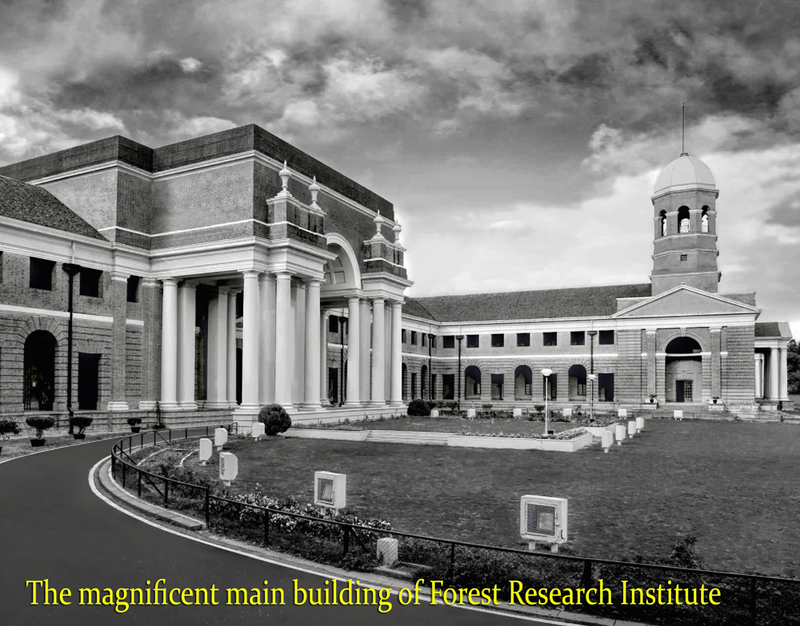 “Forest Research institute (FRI), Dehradun” has its roots in the erstwhile Imperial Forest Research Institute established in 1906 to organize and lead forestry research in the country. Its history is synonymous with the evolution and development of scientific forestry not only in India but in the entire Indian subcontinent. The institute also administered training to forest officers and forest ranger in the country and after independence it was aptly named as Forest Research Institute and Colleges. In 1988, FRI and its research centers were brought under the administrative umbrella of Indian Council of Forestry Research &amp; Education (ICFRE) under the Ministry of Environment, Forests and Climate Change, Government of India. The institute, set in sylvan surroundings of the Doon Valley, has a campus spread over about 500 hectares. The main building completed in 1929, is an impressive edifice of the Greco Roman and Oriental architecture having a plinth area of 2.5 hectares, with the outer Himalayas forming its backdrop. It is s major tourist attraction in Dehradun.